Seems like a simple thing, doesn’t it? No brainer. Yet it can prove to be challenging. Traveling home can be exciting or incite anxiety. Either way it’s something we all do. I love going home. I love seeing my family and friends. I love upstate New York. It’s so beautiful…in the summer and fall. I grew up in the Catskill Mountains, which are located in mid-eastern New York. Such beautiful country. I think my favorite town is New Paltz. Located across the river from Poughkeepsie, NY. I first really fell in love with the place in college. I went to Marist College across the river. The whole of the Hudson Valley holds some of the most beautiful towns in my opinion, Rhinebeck comes to mind. But as I said I have always loved New Paltz. I’m hoping to visit when I’m home. 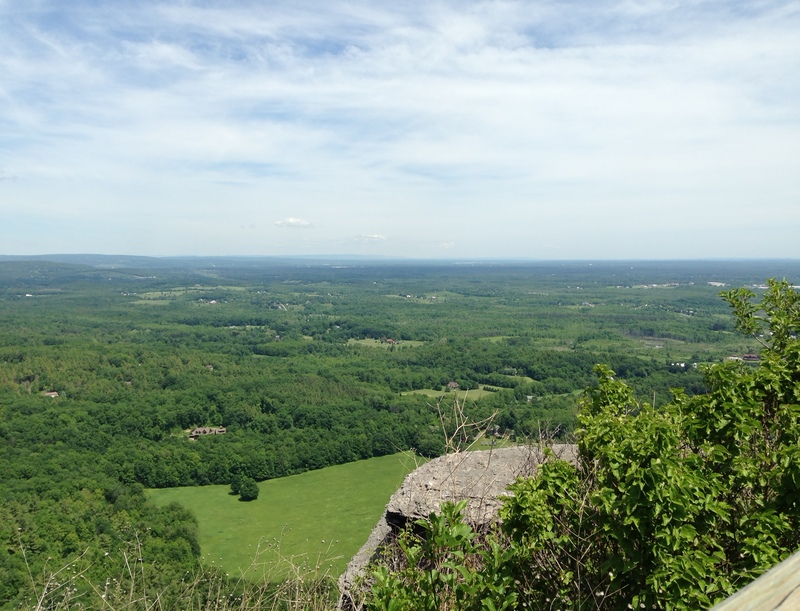 New Paltz has great hiking and dining. With the Gunks in its backdoor it’s a mecca for climbers around the world. If you aren’t into rock climbing and a leisurely stroll is more up your alley, Minnewaska State Park has some wonderful trails for you to walk, and you can even hike to the bottom of a gorge which has a beautiful lake you can swim in, then relax on the manmade beach. If you are looking for luxury, Mohonk Mountain house offers horseback riding, golf, tennis and a full spa. Whenever I’m in town I have to stop at The Bakery. It’s a cute two level eatery with an outdoor stone garden and a loft for you to enjoy a sandwich or a sweet. The baked goods are all very good and their salads, especially their chicken salad is heaven. It’s quirky and relaxing. So next time you’re in the Hudson Valley consider stopping by New Paltz for the day. Stop by the Bakery, pick up lunch and then hike one of the many trails available at Minnewaska or Mohonk. It’s a great side trip and a wonder way to spend a day.